Steps you through writing the three lines of code needed to get Lookback Participate into your app, once the SDK is in your app. Once you have added the Lookback framework to your app, follow these steps to get research started in your app. This line creates LookbackParticipate within your app. Note that in Objective C you need to define the property and implement the lazy getter. Navigate to your project settings > target settings > Info > URL Types, and add a new type with "identifier" and "URL scheme" both set to your "URL prefix" as shown in the Lookback project you just created. Note: If your app does use the camera or microphone, it should have its own descriptions. Once the descriptions are entered into your Info.plist , they will be presented to the user when your app requests authorization to use the camera or microphone. 4. How to Start Testing! Congrats! You're all done with the required steps for setting up Lookback in your iOS app. You now can record your app by sending and opening a Live or Self-Test link on the iOS device. 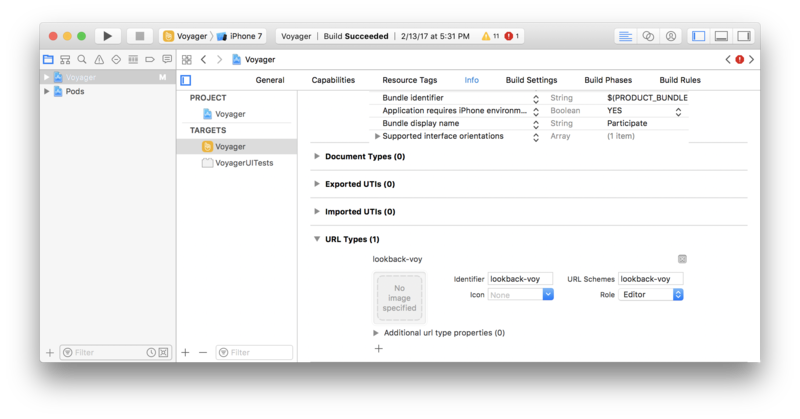 Nothing will be visible in your app until you open the Live or Self-Test link on an iOS device with your app on it. Clicking the link will prompt your app to start and Participate will show on top of it. 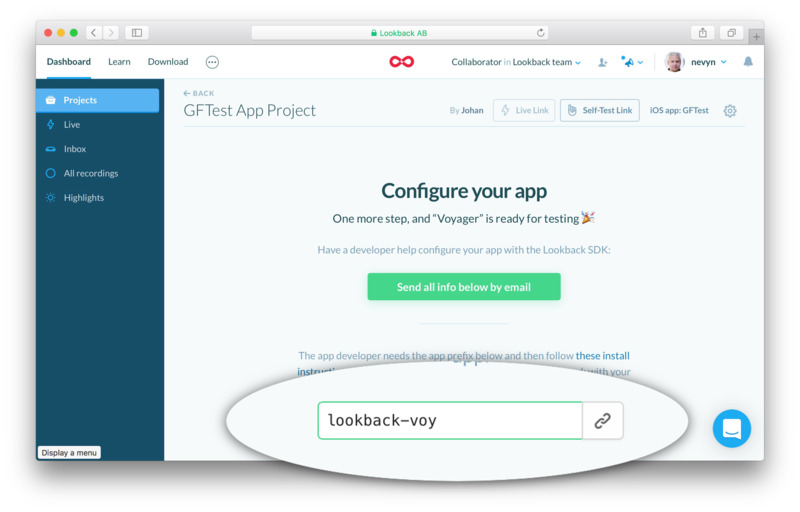 You can let your researcher know they can now record through your app using Lookback. Awesome work 🎉! Now that you're done, it's worth revisiting the iOS SDK article page and scanning the "iOS SDK Additional Info" section at the bottom where you can see iOS SDK FAQ and additional features.